On February 12, 2019 I will be in Manhattan, New York City, to present my work and my latest book to the city and the press. The event will have media coverage also by RAI International, the Italian Television! It is with great honor that I have been invited to dialogue with Francesco Semprini, a journalist from La Stampa, to present my method, Inborn Voice, and my research on vocality and vocal coaching to the most famous city in the United States. In fact, the subtitle of the invitation reports “a journey towards a revolutionary experience”. 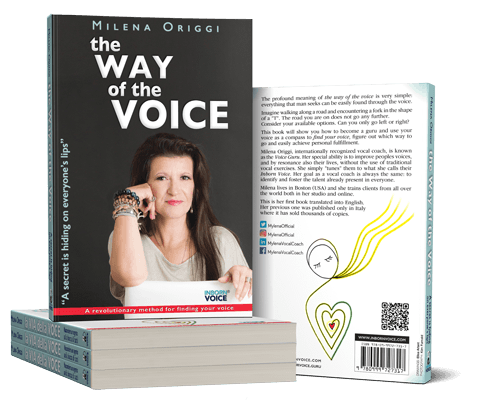 I will also take this opportunity to present the English version of my latest book, the Way of the Voice, in which I show a new way to reach enlightenment and personal success: the one of the voice. 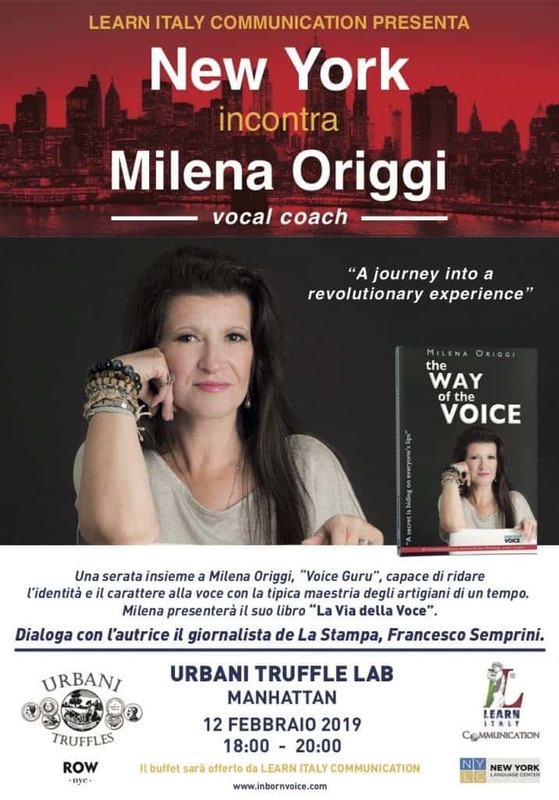 The event will take place at the Urbani Truffle Lab, to combine the Italian nature of truffles with my “excellence” in the field of Vocal Coaching”. If you happen to be in the big apple at that time, contact me and if possible I’ll get you an invitation!